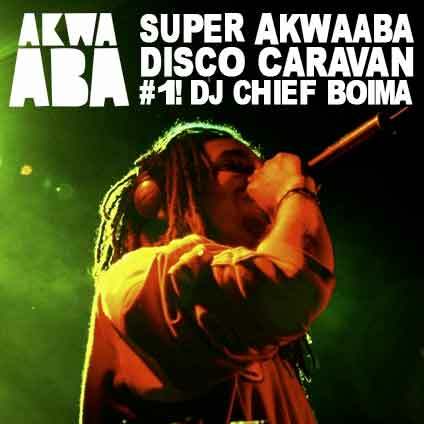 I done a mix for Akwaaba music’s podcast. It is their first episode, so it’s an honor to have Benjamin reach out to me for that. He asked me to do a mix incorporating songs from his next release, Chaleh Move It!, which is packed with dancefloor sounds from Ghana and Ivory Coast. He told me I could mix in anything else I want, so I did. Lately I’ve been hearing songs of all different genres in all parts of the world taking influence of contemporary African dance musics. By taking influences from other parts of the world, African artists have started a direct two way conversation between themselves and places like the U.K., Germany, Colombia, and the U.S. For me, the Afro-pop I grew up on need no longer to be confined to Africa, or house parties, or family reunions in the diaspora. We gonna take everyone’s clubs by storm! Oh, and buy their first release, Akwaaba Wo Africa, on their site or on itunes! For tracklist, to listen or download, or to Subscribe using another reader, click here.